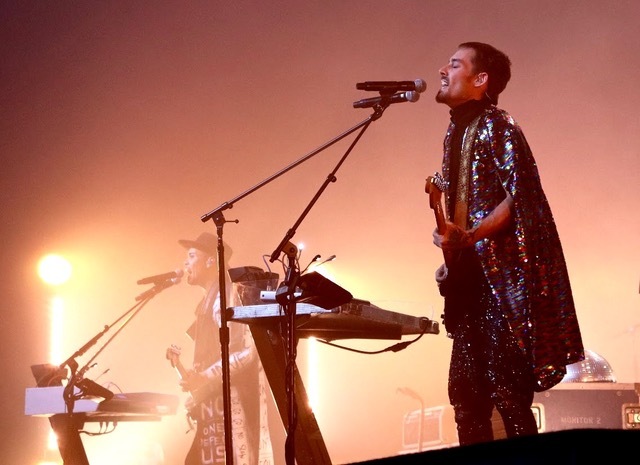 DREAMS is Luke Steele’s (Empire of the Sun) and Daniel Johns' (Silverchair) and while it has been tinkered on for nearly a decade, it only recently came to fruition with tonight’s show as part of Sydney’s Vivid Festival marking the Australian debut show. Needless to say that with the respective components pedigree and accomplishments, there was a tangible buzz and anticipation, read hype, around the two incarnating for the first time on terra australis. Portraying themselves as their alter egos Miracle (Steele) and Mr Dreams (Johns), the two protagonists operated the myriad of effect pedals to warp their respective vocal deliveries set against a seven-headed backing band including three harps and a screen projecting retro visuals. So far, so flamboyant, so good – living up to the intrigue that was created around the project in the lead-up: An undertaking to stimulate all senses equally. 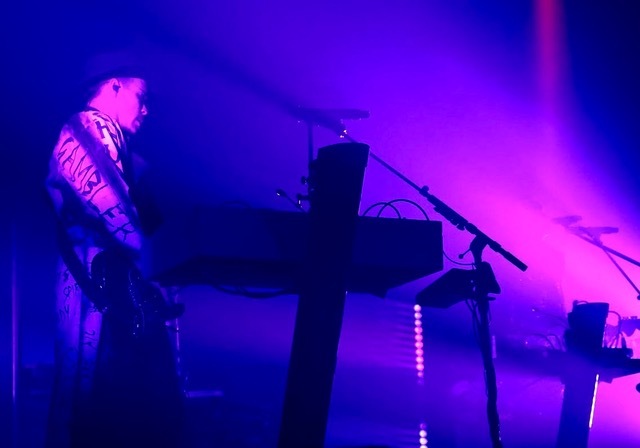 While it certainly was a feast for the eyes, the music was centered in the triangle of psychedelic electronica, rock staples and futuristic experimental music not without pop appeal. The show, which the audience lapped up, was fun yet would have benefited if it ventured a bit more outside the terrain of novelty - be it by upping the performance art element, tongue-in-cheek humour or an all-out sonic attack not unlike their war cry “No one defeats us”, which the show culminated in. Expectations were high, DREAMS live incarnation did not disappoint and it will be interesting to see if the project has the substance and endurance to become an enduring act.